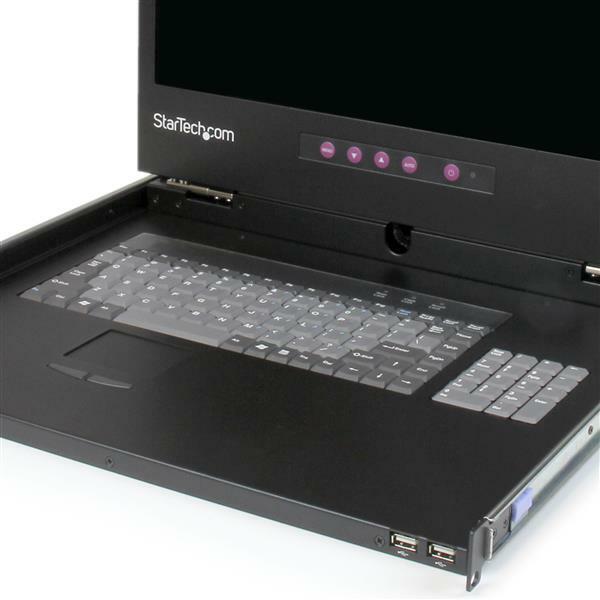 The RACKCONS17HD 17” Full HD LCD Rack Console lets you control server equipment from a centralized, 17in 1080p KVM console, with an integrated 2-port front USB hub. 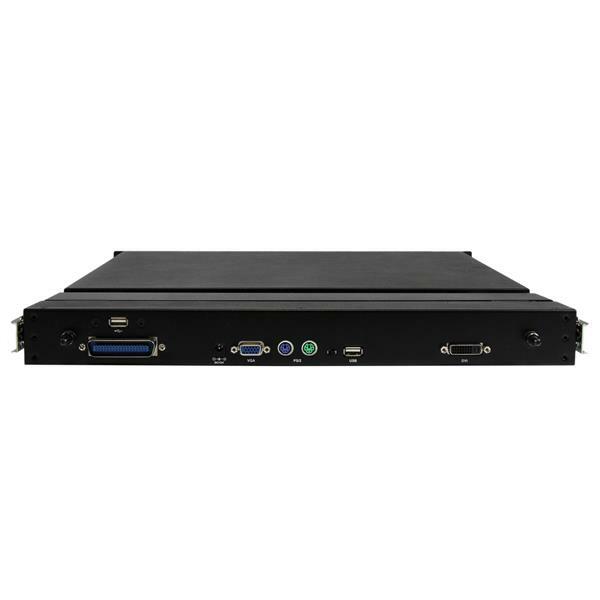 The integrated single port KVM module offers universal support for DVI or VGA, and USB or PS/2 console connections and includes all of the necessary cabling to get you up and running. 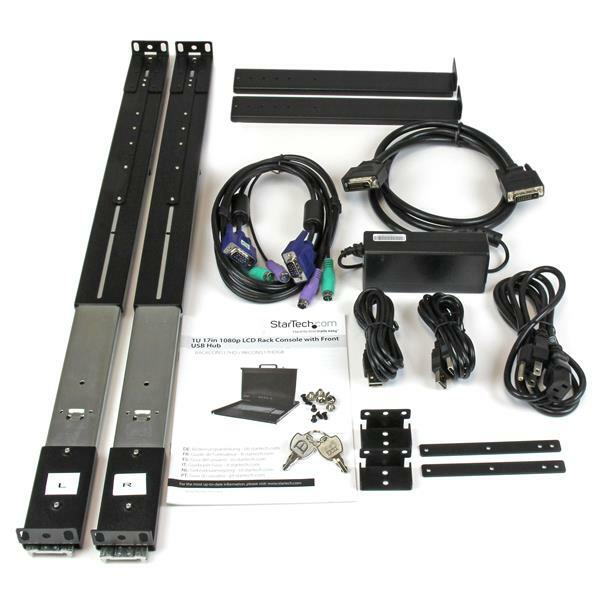 Connect the console to either a single system, or a multi-port KVM switch to manage multiple systems. The front panel USB hub places two easily accessible USB 2.0 ports at your disposal for connecting external storage and other peripherals as needed. 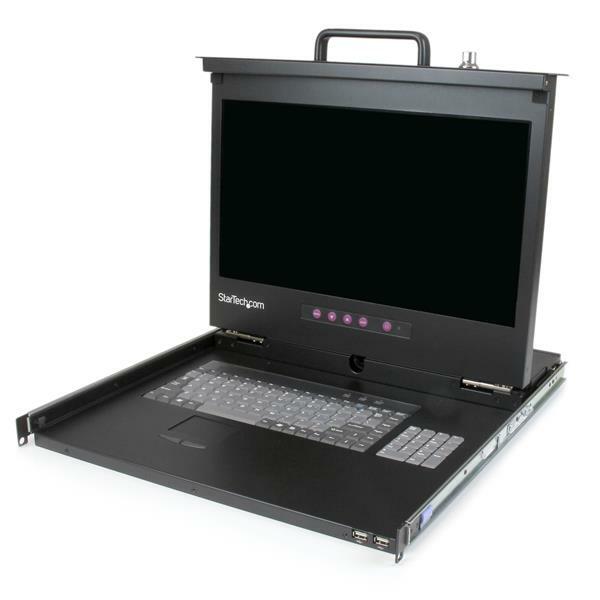 For added security in your server room, this rackmount LCD also includes a physical key-lock.